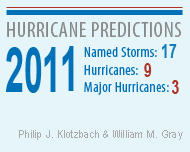 Lisa here with an important update for the 2011 Hurricane Season. Soon enough our fantastic Tampa Bay Weather is going to turn hot and muggy. With this comes our famous afternoon thunderstorms, and the possible threat of a Hurricane. We all know how devastating hurricanes can be to any city, and MOSI is dedicated to educating Tampa on What To Do to be prepared for this years season. "The First 72 Are Up To You" is this years Hurricane Expo motto. The idea behind this is to make sure that your family has enough of the essentials to survive for at least 3 days after any kind of natural disaster. Having canned goods, generators, batteries etc. To help promote this the City of Tampa and Hillsborough County are working together with members from the Hurricane Expo Committee. I guess I should tell you when this important event is. It will be Saturday, May 21st from 9am - 2pm. They are offering lunch, and discounted prices for other exhibits all day Saturday, so you can really make an entire day out of it. It&apos;s a great way to get the family excited about being prepared. That&apos;s all for me, but check in later for more Tampa Bay Area Events, and other Things To Do In Tampa Bay.